Will MIT's retinal implant prove to be superior to the Argus II? Way back at the beginning of the year we told you about the Argus II, an artificial retina that was helping some blind people to see. MIT researchers from the Retinal Implant Research Group led by John Wyatt are developing their own retinal implant that works along much the same principles. As reported in IEEE’s Transactions on Biodmedical Engineering, Wyatt and his team are currently testing the implants for viability in the eyes of pigs. He hopes in the next three years to move to a new prototype and human testing. However, the Argus II is already there with 20 human patients currently testing those devices. Diseases like macular degeneration and retinitis pigmentosa are responsible for around 25 million cases of blindness worldwide. Retinal implants have the unique ability to bypass the damaged retinal tissue and stimulate the optical nerves that still function. In this way, the blindness is replaced with a very simplified vision that many users define as hazy and limited. Still, tests for the Argus II have allowed some patients to cook, make out shapes at sporting events, and move more easily through their homes. Current artificial retinas are clearly in their infancy, but as these devices are improved in the next few decades, they may serve as a means to restore near-perfect vision. Distinguishing between the MIT artificial retina and the Argus II isn’t easy. 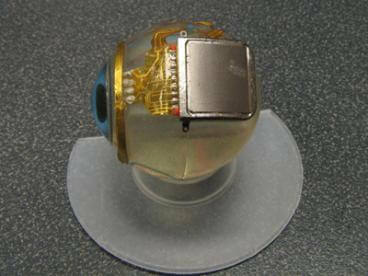 They both use cameras or sensors embedded on glasses to record visual information that is sent to a processing pack. That pack then wirelessly relays the information to an electrode array implanted directly on the eye. As the electrodes stimulate the optic nerve, patients should see a limited series of light and dark spots that correspond to the original visual information from the glasses. The MIT artificial retina may have a superior casing structure, made of titanium. MIT will not place it's electrode array directly on the retina, hopefully avoiding damage during implantation. The biggest difference between the two implants is where the electrodes attach. 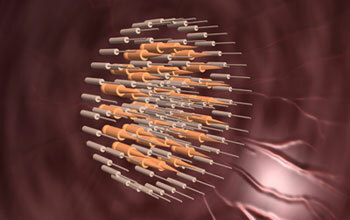 While the Argus array is placed on the retina, the MIT implant will be connected subretinally. This will reduce the risk of tearing during implantation. This difference may have important implications as complications during operation could affect long term viability (the MIT team wants the implant to last more than 10 years). In most other ways, the two devices are remarkably similar. Except of course that Argus II seems to be years ahead in terms of producing a marketable product. Besides the fact that the MIT implant is still being tested for safety while the Argus II is in human trials, there’s also the issue of image resolution. The next version of the device, Argus III, is slated to have many more electrodes in the array (1000 vs. the current 60) which will greatly increase the level of detail available to users. The MIT implant, with 15 channels, has a ways to go to catch up. Yet, even if the MIT device seems to be lagging behind the Argus, it’s good that there is more than one team in the race. Teams, which we should emphasize, are both making good progress even if they are at different stages. The Argus II, as we’ve said before is being tested in 20 patients with remarkable results. The MIT implant has been proven to be safe in pig eyes for at least 10 months, and the programming algorithms have been thoroughly tested. Both teams are well funded and have the potential to create a viable product at some point in the future. For the millions of blind people who suffer from retinal problems, who makes a retinal implant isn’t so important as long as it gets done.